My family doesn’t cook soups as often as we should. Although when we have some roasted meat on bones we usually do. Roasted bones are perfect to cook good broth from them and leftover meat fried with bbq sauce can be used as an awesome addition to a soup. 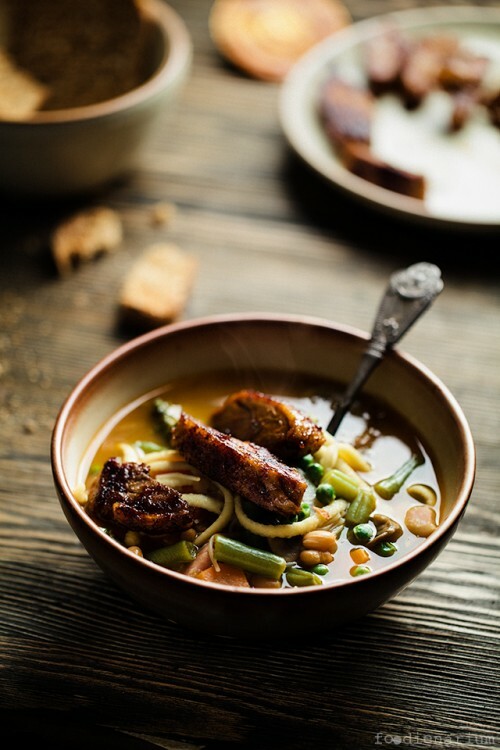 In this recipe I used leftover duck breasts and broth cooked from duck bones in a pressure cooker a night before. First of all peel the onions and carrots. Dice them, mushrooms and celery into 1cm cubes. Put everything into a large pan with a good lug of olive oil and cook for around 10 minutes on medium heat. Add beans and broth into the pan, bring to the boil and simmer for 20 minutes. Add your pasta and cook according to the package’s instructions. Meanwhile fry leftover meat with bbq sauce for several minutes. Don’t forget to add green beans 5 for the last 5 minutes and frozen peas for the last 2 minutes. 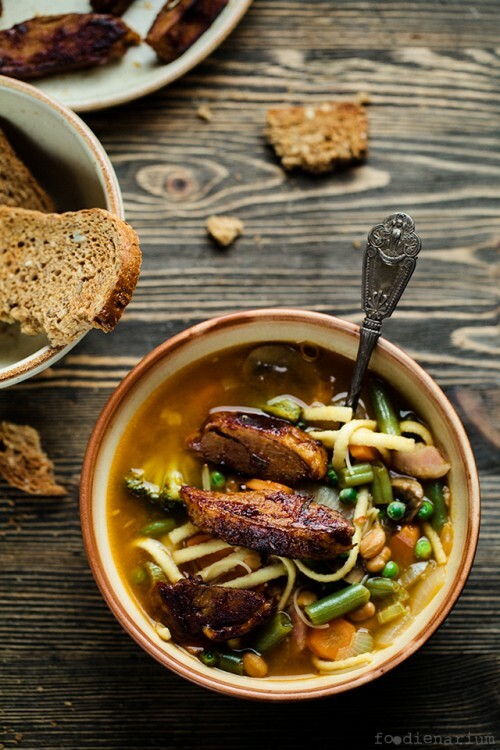 Serve the soup with fried meat and toasts or croutons.